In search of railroad information for a magazine article, I stopped at a passenger depot in Bessemer, Alabama, just outside Birmingham. 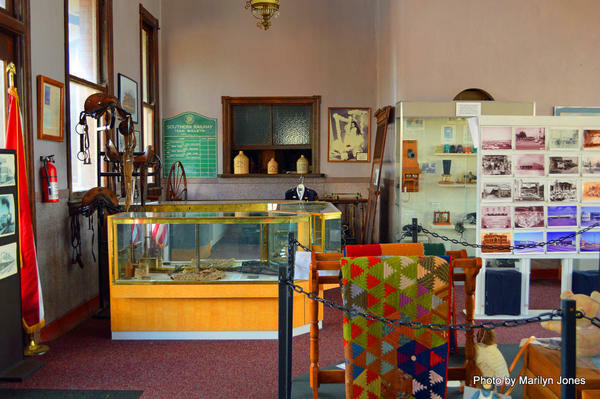 Today the depot serves the community as The Bessemer Hall of History and, although I found very little train history, what I did find was an excellent local collection pointing to the wonderful history of this city of 30,000. 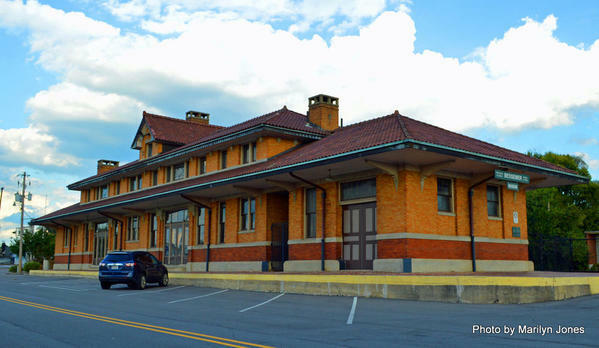 The former Alabama Great Southern Railroad depot was built in 1916 and is listed on the National Register of Historic Places. It served passengers until the early 1970s. It reopened as a museum in 1985. 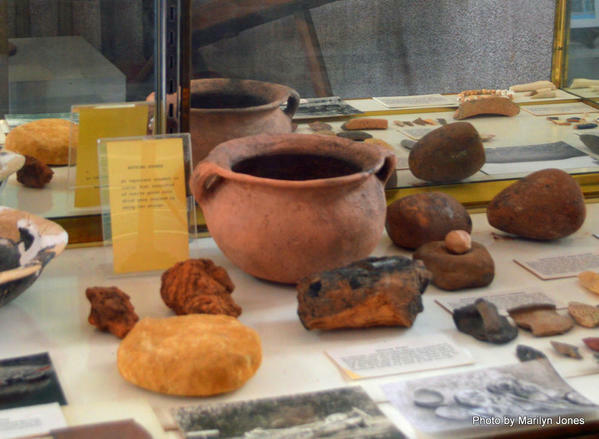 The little museum has a lot to tell its visitors. The city was founded in 1887 by Henry F. Debardeleben. A pioneer industrialist, he came to Birmingham and soon had acquired a controlling interest in the Red Mountain Iron and Coal Company. As general manager, he proposed to buy a site 13 miles to the southwest of Birmingham to build eight furnaces and to add two additional railroad outlets to the city within two years. The city was also once home to a large railroad car manufacturing factory. The decline of mining, steelmaking and railcar manufacturing industries resulted in the city facing an economic crisis in the 1980s. However, the Bessemer Area Chamber of Commerce and the Bessemer Industrial Development Board, successfully diversified its economy and is today recognized for its business growth. There are all manner of objects in the museum. Like many community museums, it depends on contributions. In one corner is a jail cell door. 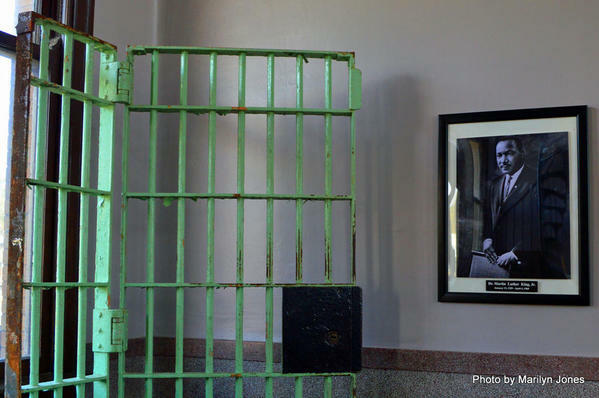 It was this cell where Martin Luther King, Jr. spent one night in 1967. After King's release from the Birmingham Jail in 1963, he fought charges that he and several others protested without the proper permits. He appealed several courts' rulings until in 1967 a Supreme Court judge upheld his conviction and ordered him to serve the remaining three days of his four-day sentence. 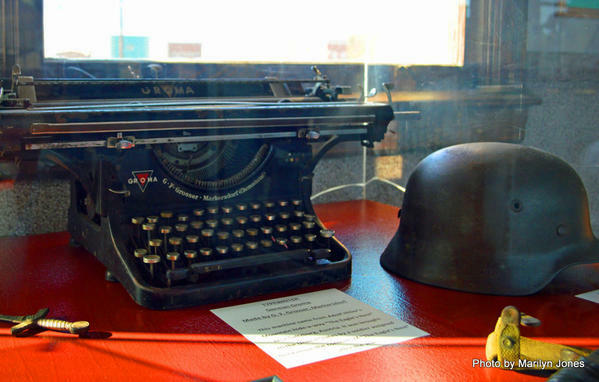 Another famous artifact displayed here, is a manual German-Groma 1930s typewriter that was ceased by the Allies at Adolf Hitler's mountain hideaway, the "Eagle's Nest," near Saltzburg, Austria at the end of World War II. It was donated by the local family of a soldier assigned to inventory the items found in Adolf Hitler's compound. Display cases and exhibits stage everything from century-old bottles to prehistoric Native American pottery, cannon balls and photos from the Civil War, and, on the day I visited, an excellent exhibit of beautiful hand-made quilts. The benches used by passengers are still there along with a chalk board used to announce train arrivals. 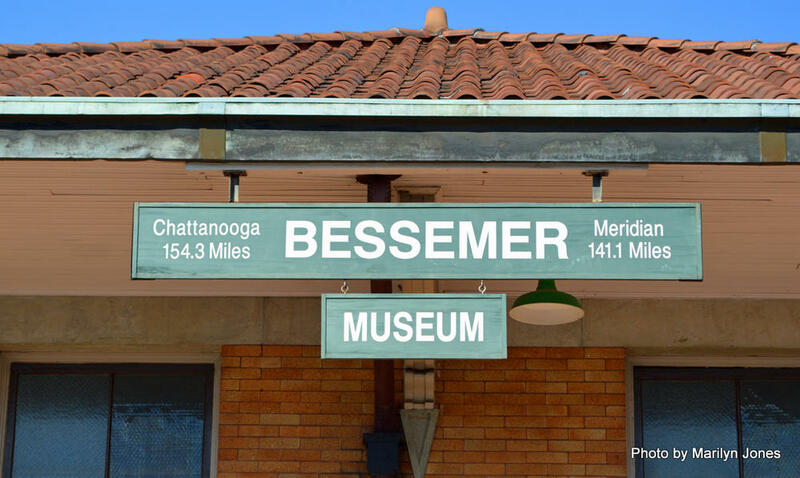 The residents of Bessemer, staff and volunteers saved the depot and gave it new life. If you ever find yourself in this quiet little city, make sure you stop by. 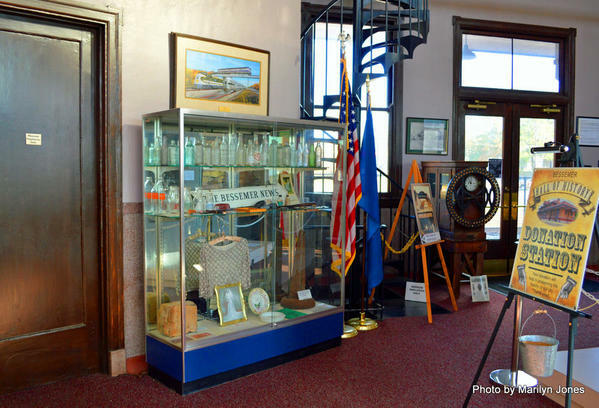 The museum is located at 1905 Alabama Avenue in Bessemer. 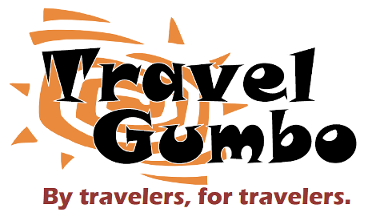 For more information call (205) 426-1633. 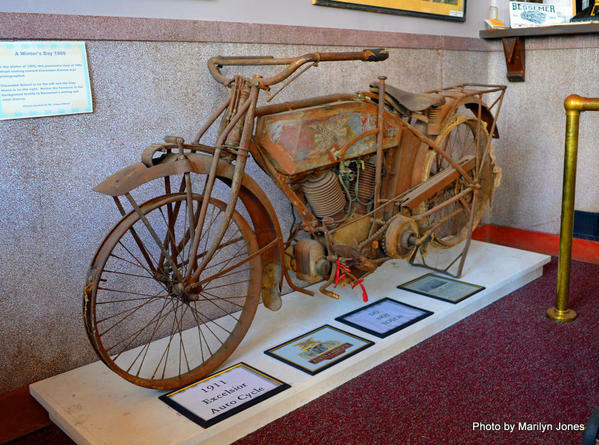 I love visiting small town museums like this. Often you find beautiful little historic pearls, as you did with Bessemer. Thanks for this piece! 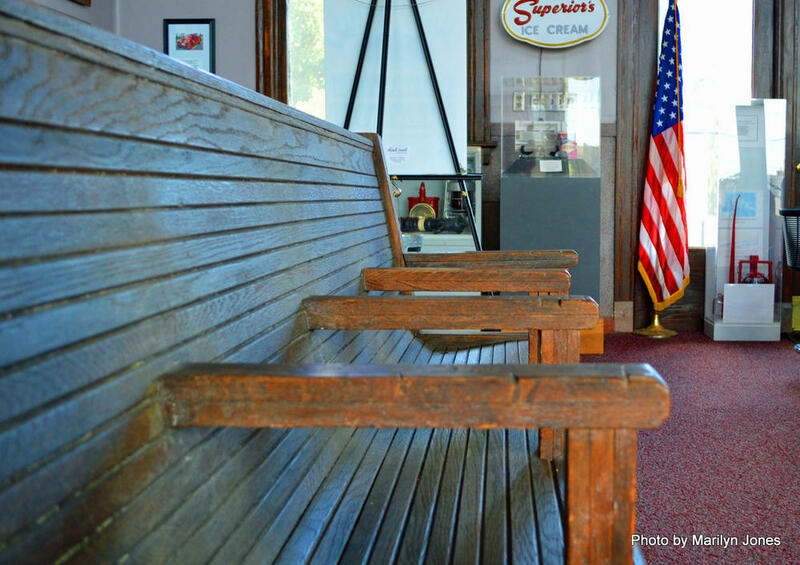 I think every community -- big or small -- has its own significant history. It's amazing really what you can discover!